Who's ready to dominate game night? 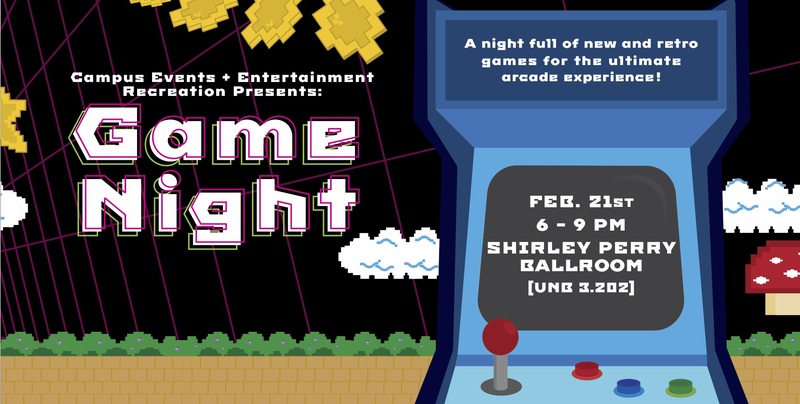 Bring your friends to the ultimate arcade night on campus! There will be vintage arcade cabinets, VR, racing simulators smash tournaments, and so much more. Best of all it's comepletely free...no tokens required!